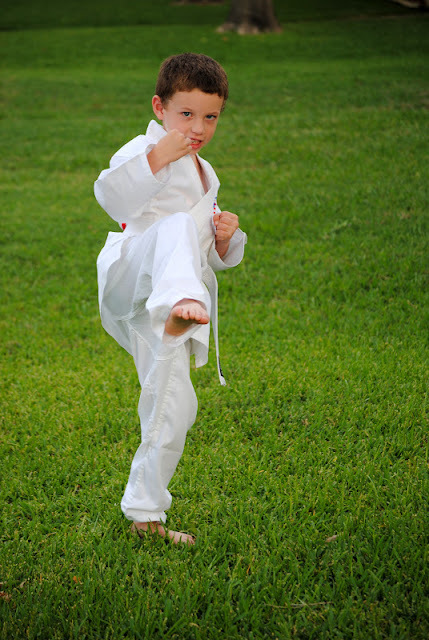 When we signed Luke up for karate I had no idea how much he would love it. 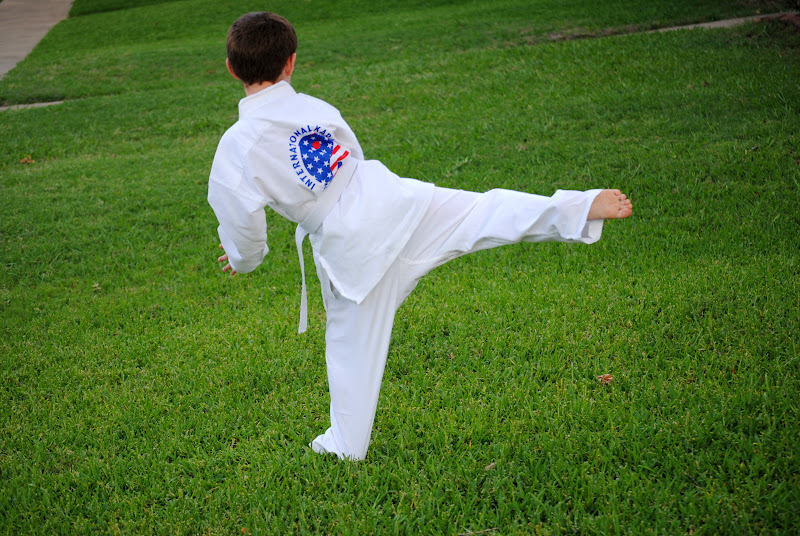 He practices at home all the time. At the very least, he practices right before he goes to bed. But most days, he is working on his moves two or three times a day at home in addition to his classes. 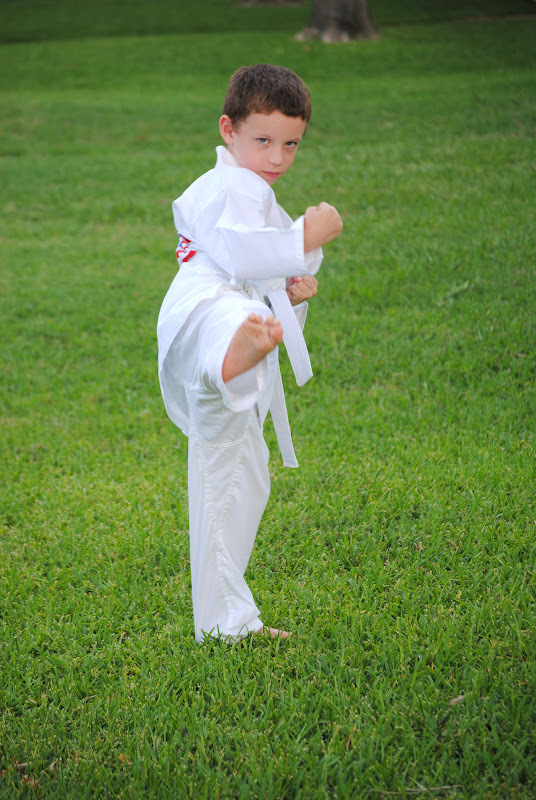 The hardest thing for Luke while doing karate is trying NOT to smile. 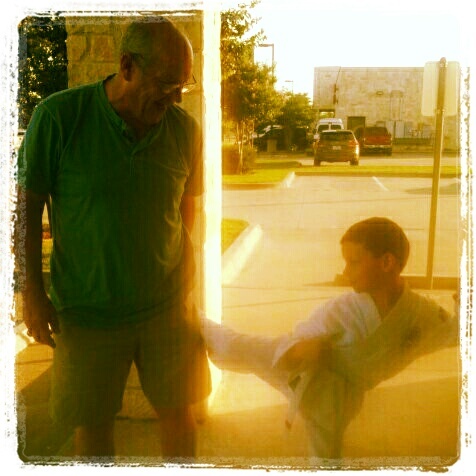 Mr. Mike is always telling the kids to put on their mean faces. 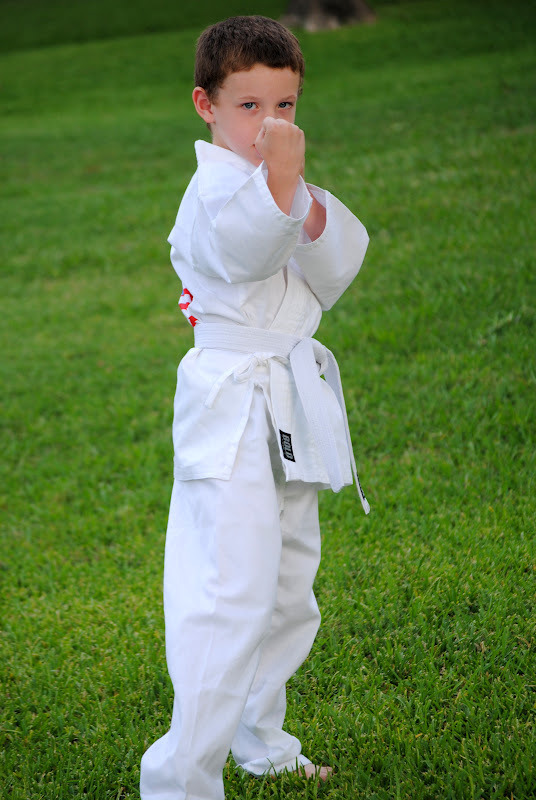 Watching those kids make mean faces is hilarious. I asked Luke why he cannot keep his mean face on and he said it is really hard to look mean when you are having so much fun. Understandable. But, he is getting better. I would not mess with him. 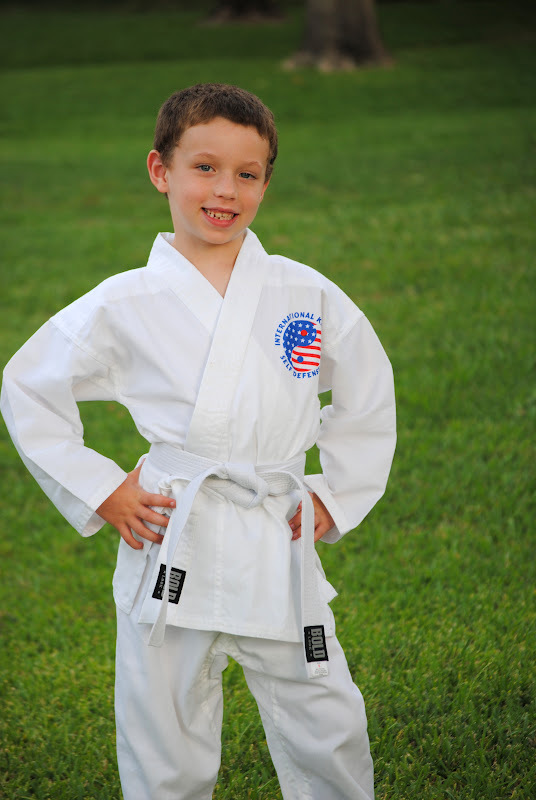 Do not let the white belt fool you, he is a black belt in his mind and heart! 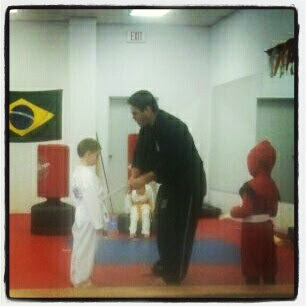 Last night Luke was tested on his karate and he earned a red stripe on his belt! 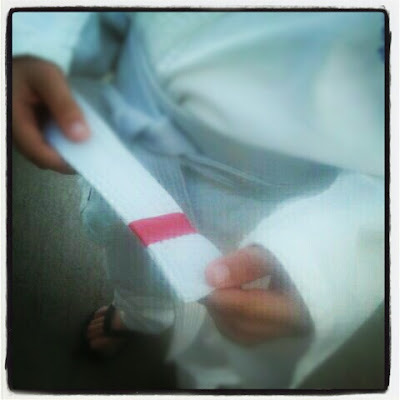 This means in two weeks he will be able to graduate to his gold belt! Good job, Luke! Hey Luke, what are yo going to do now that you have a red stripe? it is all the practice!! Summer is up and Running! !